Fits: Prowler 3.5L, V6, Gas, MFI, VIN "G"
One of the best ways to get all of the Horse Power out of your Prowler engine is to install a High Performance air filter! 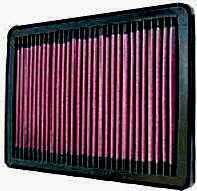 Very High Flow Air Filter, Washable, Reusable Filter Lasts Longer, Makes More Power, Increases Fuel Mileage, More Economical, Easy to Install, Million Mile Manufacturers Warranty, Panel; Height 1.313"; Length 10.688"; Width 5.188"
1 Filter for your Prowler. The most cost effective way to increase your horse power! Designed specifically to fit the 1997-2002 Prowler. 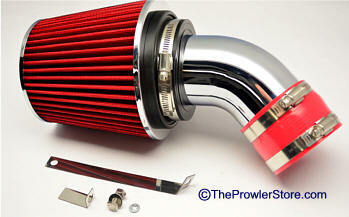 * Chrome ABS resin super smooth piping for better direct airflow into the throttle body. * Come with high performance washable Air Filter. * Clamp(s) and rubber reducer(s) included as needed. * Estimated Increase about 10 HP! 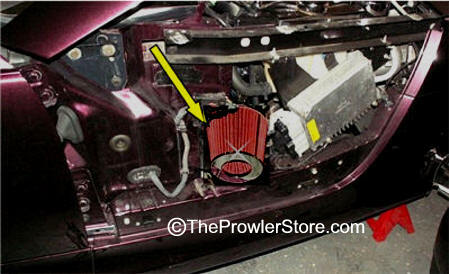 This kit is medium level install on your Prowler. You remove the old factory air box and hose. Takes about 90 minutes. al parts will be needed for installation. How about some extra KICK! Allows your engine to not work as hard. Especially designed for the Plymouth Prowler only.